During the second millennium BC, a series of small kingdoms emerged in the populated but relatively backwards lands between the established cities of southern Mesopotamia and the southern shore of the Black Sea. Perhaps stimulated by the arrival of Luwians and Hittites to the west and the Hurrians of Mitanni to the south, Hayasa-Azzi can be included as one (or two) of these small kingdoms. Hayasa-Azzi (sometimes referred to as Azzi-Hayasa) remains an obscure Late Bronze Age kingdom despite the best efforts of scholars to uncover more of its history. It was Hittite inscriptions which were deciphered in the 1920s by the Swiss scholar, Emil Forrer, which first revealed the existence of a state in this mountain country. It emerged to the north and east of Ishuwa in the sixteenth century BC as the tribal regions or minor states of Hayasa and Azzi. These two would seem to have formed a confederation which for a time was able to trouble the Hittites, newly powerful after conquering the indigenous Hatti, although their efforts were not consistent. 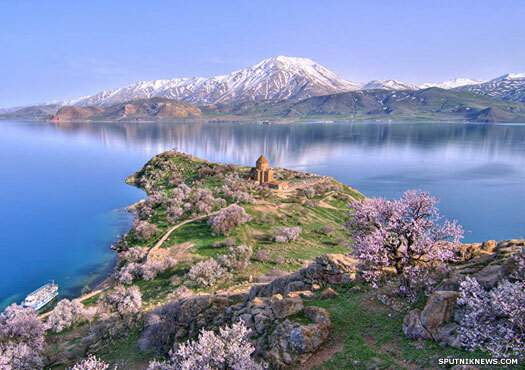 Hayasa lay to the south of Trabzon on the south-eastern Black Sea coast, while Azzi was situated between Hayasa and the Euphrates, around Lake Van (now in eastern Turkey). To the north-east, across a vast plain which stretched to the Black Sea, were the equally newly-arrived Kaskans, to the east of Hayasa was the kingdom of Kolkis, while to the south was the state of Mitanni. Scholarly opinion is split on whether Hayasa and Azzi were distinct states or were one and the same joint state, while some scholars place Azzi to the north of Ishuwa rather than to the east of it. The confusion over whether it was one or two states possibly stems from its origins and then the later, possibly permanent, confederation or union between them. Sean Bambrough points out quite correctly that Hayasa has been connected with the later Indo-European arrivals in the region, the Armenians, and their own name for themselves - Hayas - and their country - Hayastan (which has evolved from its medieval form of Hayk). The name was remembered in the form of an eponymous founder figure and patriarch who was also called Hayk or Haik (later claimed as one of Noah's descendants), but it seems highly likely that this was in fact the earlier people of Hayasa being remembered through oral tradition. At least part of Armenia's heritage was inherited from the indigenous Anatolian state of Hayasa. The Kaskans suffer the loss of their grain to locusts so, in search of food, they join up with Hayasa-Azzi, Ishuwa, and the Lukka, as well as other Hittite enemies. The devastation to the grain crops may also have been suffered by others, making it not only easy to get them all to unite but highly necessary, and the Hittites may be taken by surprise by the sheer forcefulness of the attack. Recent Hittite resurgence suffers a knock when their fort of Masat is burned down, but then the capital, Hattusa, is itself attacked and burned. Their secondary capital may also be attacked, and Hayasa-Azzi seizes the Hittite city of Samuha. This disaster personally weakens the position of the Hittite king but seemingly does little to set back the Hittites themselves. As Tudhaliya's general, shortly before seizing the Hittite throne, Suppiluliuma pushes back an invasion by the Kaskans and invades Hayasa-Azzi. Twelve tribes of Kaskans unite under Piyapili and attempt to support their recent allies, but are defeated. Details in the Deeds of Suppiluliuma of the subsequent showdown between the Hittites and Hayasa-Azzi near the city of Kumaha have been lost, but the Hittites soon establish it as a vassal state. Vassal of the Hittites. Brother-in-law of Suppiluliuma. It is Hakkana who agrees to a treaty with the Hittite king, Suppiluliuma, confirming the fact that Hayasa-Azzi has been defeated by the Hittite king and former general. As part of the treaty (and typically of most treaty agreements in the ancient world), Hakkana marries Suppiluliuma's sister. The Hayasans are now obliged to repatriate all captured Hittite subjects and to cede 'the border [territory] which Suppiluliuma claims belongs to the "Land of Hatti"'. Despite the restrictions being imposed upon Hakkana, he is not entirely a meek and submissive brother-in law of the Hittites in political and military affairs. As a condition for the release of the thousands of Hittite prisoners being held in his domain, he first demands the return of the Hayasan prisoners who are confined in Hatti. Hayasa-Azzi appears to remain a vassal of the Hittites and is perhaps hit by the same plague which kills Suppiluliuma and, soon after, his son. 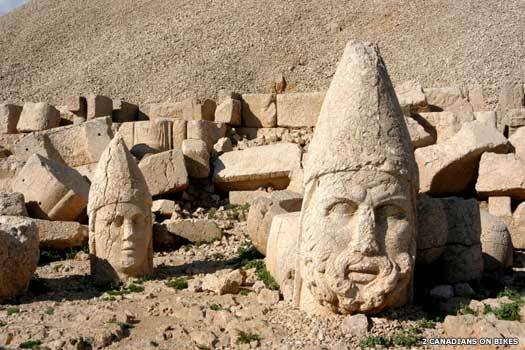 The cuneiform tablets which have been found at the modern site of Boğazköy in central Turkey only mention the three kings above, ending with Hakkana. Vassal of the Hittites, 'Lord of Azzi'. Submitted c.1321 BC. While the Hittites are occupied with the Kaskans under Pihhuniya, Anniya raids the land of Dankuwa on the Hittite border, capturing the area's population. As related by the Catalogue des textes hittites, he refuses to release his prisoners. Mursili II immediately attacks the border fortress of Ura and, the following spring, crosses the Euphrates and settles his army at Ingalova (a millennium later this would become a major burial site for the kings of Armenia). Hayasa-Azzi remains undefeated. Anniya launches a major counter-offensive by once again invading the Upper Land region on the Hittite north-eastern frontier, destroying the land of Istitina and placing the city of Kannuwara under siege. The Hittites launch a major attack against Hayasa-Azzi's forces in the Upper Land. Apparently 'ten thousand men and seven hundred chariots were drawn up in battle against him', but the Hittie general, Nuwanza (Nuvanza), resoundingly defeats them. The following year, Hayasa-Azzi itself is invaded and re-conquered. Hayasa-Azzi formally submits in 1321 BC. It is never again mentioned as a unified state in either Hittite or Assyrian records, suggesting that Hittite retaliation is extensive enough to destroy its ability to revolt. If the old state of Hayasa-Azzi even exists by this date as a recognisable entity, it now vanishes during the Bronze Age collapse. Following the fall of the Hittite empire and the period of disruption which follows, it is not mentioned again in any records. Instead the Nairi emerge in the region of Lake Van, followed subsequently by the rise of the kingdom of Urartu. The native people of Hayasa-Azzi are subsumed by this new, dominant state and by the sixth century their land is occupied by the newly-arrived Armenians upon whom they may have some early influence.